What it is and how to create, build and use it. Today we will learn how to create and keep a Colour Scrapbook. We will also learn how to use it to create stunning cards. You may be wondering what this is and how to create one. 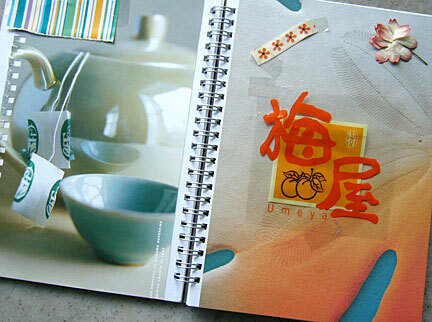 Well, it is a library or book of colour ideas that we can draw on when making our handmade cards. So, how do we build this colour library? We do this by being observant when we are out shopping, at the library, driving our kids to and from school, or traveling on the buses or trains. Try to make a habit to carry a small digital camera, a notebook and a pack of mini-color pencils with you wherever you go. Observe colours around you and if possible collect them. Where should you go to look for colour inspiration? Product packaging e.g. candy wrappers, shopping bags, etc. What is the colour theme? Which is the dominant colour? What is the overall result? What do you think about the color combination? How did the colors make you feel? Do the colors make you feel happy, carefree, classy, soothing, etc. How can you use this color combination on a card? Write these down in your notebook. Take snapshot if possible or collect them if you can, for example, candy wrappers, etc. With these information and your printed snapshots, and collected items, you are now ready to create your book. Purchase a Sketch Book. I use a 6'X8' ring book with unlined pages. Look for one with a plastic pocket on the first or last page. This is very handy for holding temporary stuffs like bus tickets, sweet wrappers, etc. Paste whatever you collected from your colour observations in it. Use a whole page for a colour theme. 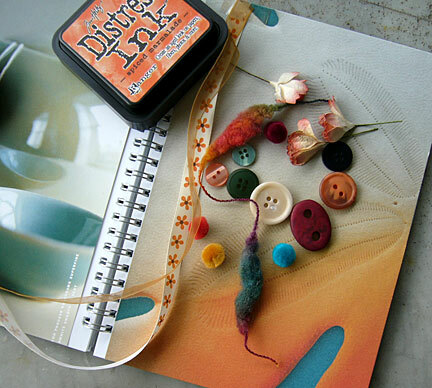 Paste, staple or sew whatever you think is great for that colour combination in the page. Continue adding to your pages. And very soon you will have your very own colour library. In creating cards, I like to know the colour preference of the person I creating for. And once I have that in mind, I look inside my book for colour combination ideas. Sometime, I used the book as a mood board. A mood board is a tool that creative people use to bounce off ideas. It serves as a visual board that helps to conceptualise the whole design. In using it as a mood board, I will gather some of the materials that I might use for the card and lay them on that particular page. I leave these there for awhile sometime adding a piece of supply or taking away something. 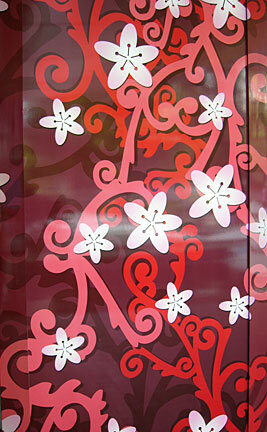 Usually after a day or two, the whole design and colour theme of the card will take form in my mind-eye. And when I sit down at my craft-table, I find myself spending less time creating my cards because whatever card making supplies I need are already there on the mood board. Another way I use my Colour Scrapbook is when I'm having a creative block. Just leafing through the scrapbook or time spent building the scrapbook will restore me to a creative state once again. So we come to the end of another module in the A Study of Colour for the Card Designer. I hope that this module will inspire you to create and keep a colour idea book for your card making and at the same time, cause you to be more observant of the wonderful world of colours around you and how colours are used to create a certain mood or feeling.